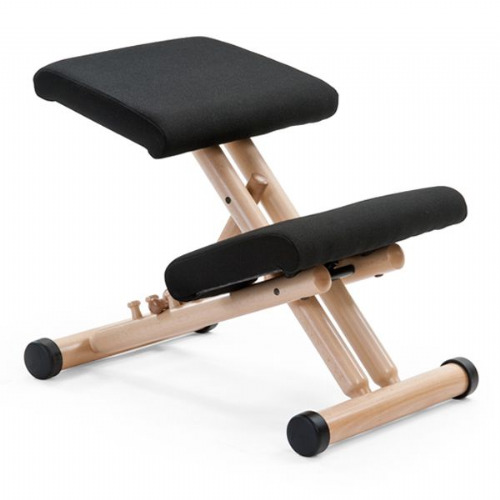 The Varier Thatsit is a Peter Opsvik designed kneeling chair which follows your body movements. When leaning forward to actively work, the pelvis tilts forwards which keeps the spine in its upright, dynamic posture and the body balanced. Available in 27 different colours from the Varier Revive & Fame fabric ranges. Refer to the 'Colour Swatches' tab for more information on the fabric ranges. 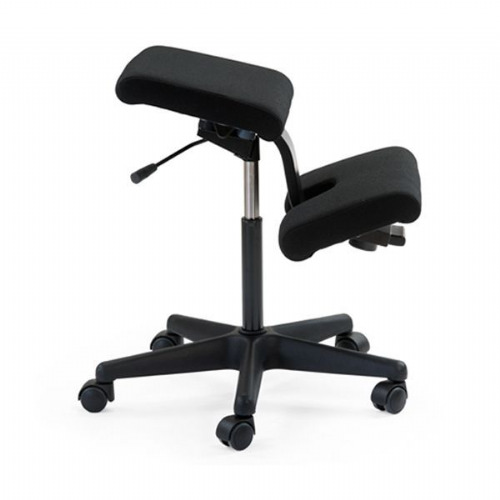 There is a 6 month lead time on this chair. We will be happy to offer a 25% deposit. We will inform you of the date of delivery prior to dispatch. Revive is a vibrant upholstery fabric, designed by Georgina Wright, made from plastic bottles with a focus on reducing environmental impact. The production process behind Revive requires less energy, chemicals and C02 emissions. The designs are inspired by the textures, colours and materials found in harbours and fishing boats. Revive consists of two unicolours, either tone-in-tone or slightly contrasting. the durability and added flammability resistance make Revive particularly suitable for contract environments. 100% recycled polyester. Available in 20 different colours from the Varier Fame fabric range.